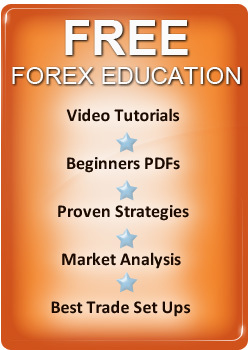 Here we will look at Forex breakout trading which is a popular method to seek currency trading profits. We will look at why it works, the best strategies and systems and how to build your own simple breakout trading method for success. A breakout in a currency pair takes place when the price "breaks out" of a trading range or when a specific price level is breached such as new 4 week high. In terms of breakout trading, the aim is to enter a trading signal right when the price makes a breakout and follow the price break higher or lower, if of course the breakout follows through and if it doesn't - its referred to as a "fakeout" . Breakout trading is popular because the principles its based on work and are easy to understand even for new traders. When you are looking for breakouts you can draw trend lines either horizontal or sloping which can be used to identify channels and periods of consolidation or can be drawn to indicate a clear bullish or bearish trend. A breakout in favour of the trend is called a continuation breakout and one which might indicate a reversal is called a reversal breakout . These chart formations see the price trade within the lines you have drawn and you then wait for a breakout to put your trading signal in the market. On the best breakouts the price will simply go through support or resistance and the trend will then continue in the direction of the price break. If you look at the charts of currencies or any financial instrument, you will see some fantastic trends come from breakouts but your looking backwards which makes it look easy but trading breakouts is not as easy as it appears - why? The longer a level of resistance or support holds, the better the odds of the break following through will be, when the price eventually takes out support or resistance. The number of tests a chart level has bee tested is also important - the more times it holds the better the trading signal will be when the break finally occurs. When the price breaks out, the end of the day is normally the best time to see if the break will continue or reverse and to see the likely odds of continuation of the trend in the direction of the break, you need to look at how strong the currency pair you are trading is closing. If you are closing near the highs - the odds favour a continuation but if you are near the lows, then the chances of a reversal back below the breakout point are high. My own view is if there is no price strength on the close or the range of the day has been low, is to exit the trade to protect my capital. Also, I like to see the trade follow through on the next day to confirm the trading signal is a good one. You can use the notes below to get out of a breakout trade or simply use them to trade false breakouts as a separate strategy and trade against false breaks in price if you think there going to fail. We have already mentioned that - breaks to the upside which come on bullish sentiment, with everyone expecting them to follow through have a high possibility of failure and if volatility is low and these can of course be passed by but you can trade them for profit. The way to trade them for profit is - to wait for the move to occur and see how the market closes. If you have a weak close then, you can consider fading the break and look for a move back below the level of support or resistance which has broken. Both trading breakouts and "fakeouts" can be an effective Forex trading strategy and its up to the individual to decide if he wants to trade either of these methods or even combine the two. Breakout trading is a simple Forex trading strategy which will always work simply because there will always be trends and deviations from the mean price. To enter into long term Forex trends, breakout trading is very effective but it's not without its drawbacks. Like all currency trading methods, you will still need to filter "false" trading signals. Today with the tremendous volatility we are seeing in Forex markets, there are more false breakouts than good ones and in my view, this method of trading was "easier" 25 years ago when I first traded than it is today. There is far more volatility around breakout points and this has been caused by the huge increase in Forex trading volumes. This has occurred with the rise of internet currency trading and the vast number of speculators trying to make profits. You will need to make sure, you have rules which will filter the bulk of these potentially losing trades, from your system. You can do this with some study and practice and when you have added your filters, you can enjoy long term currency trading success. You can get a simple price action strategy Richard Donchian's 4 Week Rule which is a great way for anyone to get started with a proven trading strategy which works.